Uganda’s CECAFA U-17 Zonal AFCON Qualification campaign started sore note as they lost to Ethiopia on Sunday at Chamazi Stadium, Azam Sports Complex in Tanzania. Ethiopia goal’s came as early at the 13th minute through Mintesnot Wakjira in a well attended match. Peter Onen’s side got an opportunity to level matters five minutes later through a penalty but Ibrahim Ekellot’s effort wasn’t successful as it was saved by Ethiopia’s goalkeeper Alazar Malko. Ethiopia who slowed the game throughout the first half managed to go into the break with their 1-0 caution. Uganda made a substitution which saw Asaba Ivan come in for Iddi Abdulwahid on 53 minutes. This improved the side as several attempts were made on the Ethiopian goal. Defender John Rogers came in for Mwaka Polycap in the 63rd to reinforce the defence while Alou John took over Yiga Najib’s place but all efforts were in vain as Ethiopia held on to win the game. 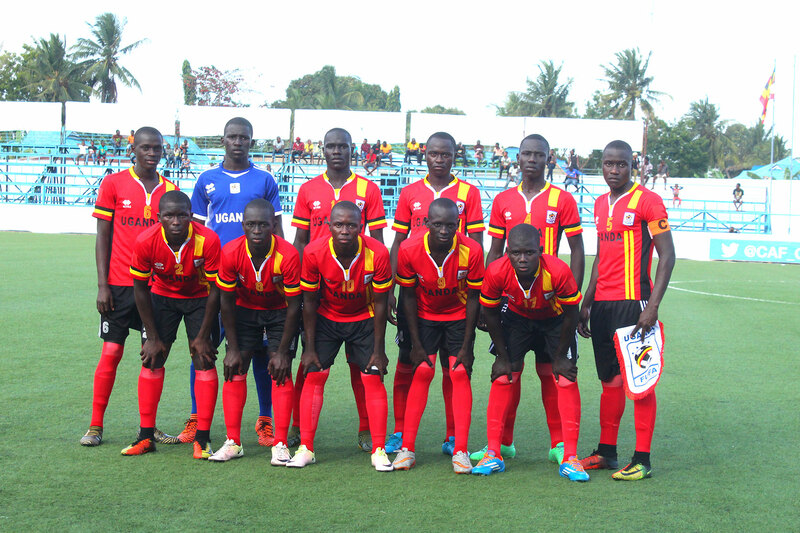 Uganda U17 coach Onen remains optimistic despite the loss. “It is always hard to approach the first match in such a tournament but I am so optimistic that we shall succeed in our upcoming matches and more conscience is called for to avoid such losses, said Onen after the game. The Cubs had three players missing for the game- Elvis Ngondwe, goalkeeper George Oluka and defender Joseph Kafumbe missed the match after medical tests (Magnetic Resonance Imaging (MRI) failed to show they fall in the age group. FUFA wrote to the organisers for clarification on the matter as all players underwent the same test in Kampala before traveling to Tanzania but feedback is yet to be received by the governing body. Uganda is in Group B alongside Ethiopia, Djibouti, South Sudan and Kenya. The top two teams from each group proceed to the semifinals. Their next game comes against South Sudan on Friday evening and hopefully the MRI issues will have been rectified by then. The Cubs Starting XI against Ethiopia. Semwogerere Daniel (GK), John Rogers, Alou John Kokas, Owane Yasin Abdul, Asaba Ivan, Mukisa Owen.